Every Mac comes with certain apps pre-installed as part of its OS X operating system – and these are known as its ‘native apps’. For the most part they’re actually really great and some are even integral tools that you may use on a daily basis such as iTunes. However in some cases you may prefer to use other alternatives – and that is particularly true of Safari. While Safari is an excellent browser in its own right, you may prefer to use an alternate browser that you’re more familiar with – such as Chrome or Firefox. However iff you were to try to uninstall Safari you’d find that you’re unable to do so – at least not through the ‘normal’ method of dragging it over to the Trash Bin. While there are ways to manually remove native OS X apps, they can be complicated, technical and require special commands in a system window. 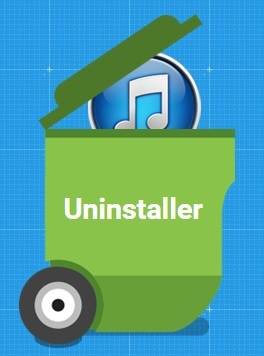 Click on the ‘Uninstaller’ menu. Let the scan complete and select ‘OS X Apps’. Find ‘Safari’ and tick the box beside it. That simple process can be used to remove any apps on your Mac – irrespective of whether they are native OS X apps or not. Additionally in Movavi Mac Cleaner’s Uninstaller you will also be able to detect any leftovers from apps that you deleted in the past, and can remove them too. When you add the core functionality of Movavi Mac Cleaner into the mix and remove all the junk files from your hard drive, you should end up with quite a bit of free space. More importantly because your hard drive will be less ‘clogged’ by unnecessary files, your Mac should be that much faster as well. Aside from these crucial features, Movavi Mac Cleaner also has a few other helpful tools. It comes with a ‘Shredder’ that will delete any files and overwrite them immediately with other data – so that they can’t be recovered. As you can imagine, this feature is perfect when dealing with confidential files. On top of that the software also has its own inbuilt antivirus and firewall – so your Mac will be protected from malware and online threats. By putting Movavi Mac Cleaner to use you will be able to clean up your Mac’s hard drive, remove any apps you don’t need, and make sure it is performing optimally. Seeing as it is so easy to use – why not get started right now?